Honestly, what cuts cleaner than a surgeons scalpel? It’s so sharp you can’t even see the cut until it starts seeping blood. Skalpel Steak Knife is drawing inspiration from this magnificent tool by applying its properties to, you guessed it, a steak knife! 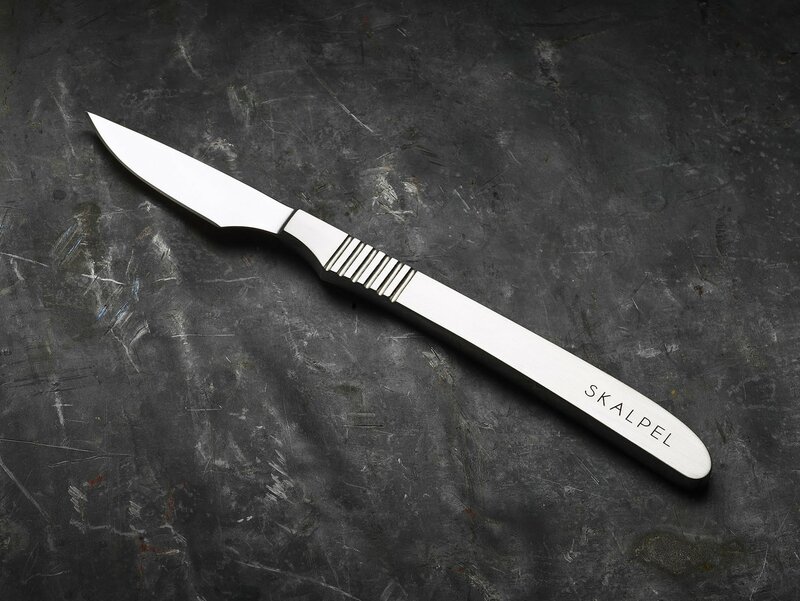 Each Skalpel steak knife is handmade by master knife maker Stuart Mitchell in Sheffield, the home of stainless steel. It’s constructed from a solid section of high carbon, surgical grade steel engineered to a size, weight and scale that rests perfectly in your hand. The attention to ergonomic detail is pretty impeccable. it’s also safe to say you’re not going to have any problem cutting your steak. Skalpel is set to launch a Kickstarter campaign that goes live on February 19, 2018. Visit the website for more information.